Making tennis easy! Please pass on to all high school coaches & athletic directors! We want to make it easy on you to provide performance equipment, racquet stringing, uniforms & court care for your school. 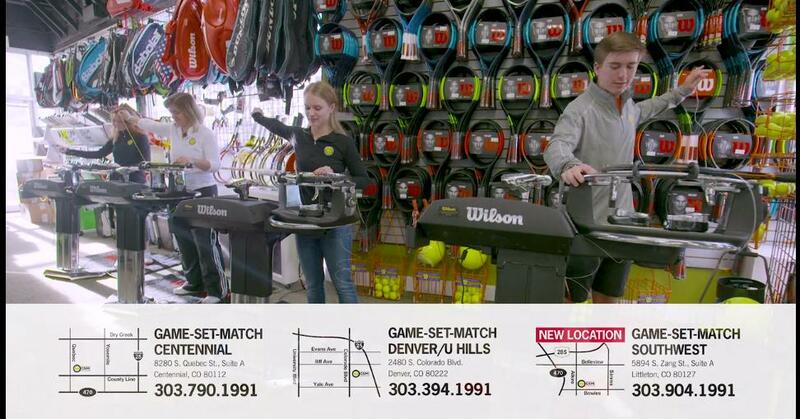 Game-Set-Match, Inc. is a premier racquet sports retailer where selection is paramount and our dedication to customer service can be found in all our Game-Set-Match, Inc. staff. Game-Set-Match, Inc. is a place where players anywhere along the spectrum from beginner to advanced can consult with knowledgeable staff regarding racquet choices, industry trends, tennis elbow, plantar fasciitis and to share in love for the game. Game-Set-Match, Inc. offers demo days where any group can get out there & try the industry’s new racquet releases at no charge. Game-Set-Match, Inc. also hosts high school team events where players receive 15% off nearly every product in the store! Finally, we are your source for court equipment, court maintenance & special high school pricing on cases of balls. Contact molly@gamesetmatchinc.com with questions or to schedule your team night before Spring season kicks off! Watch our new commercial to see what we have in store! 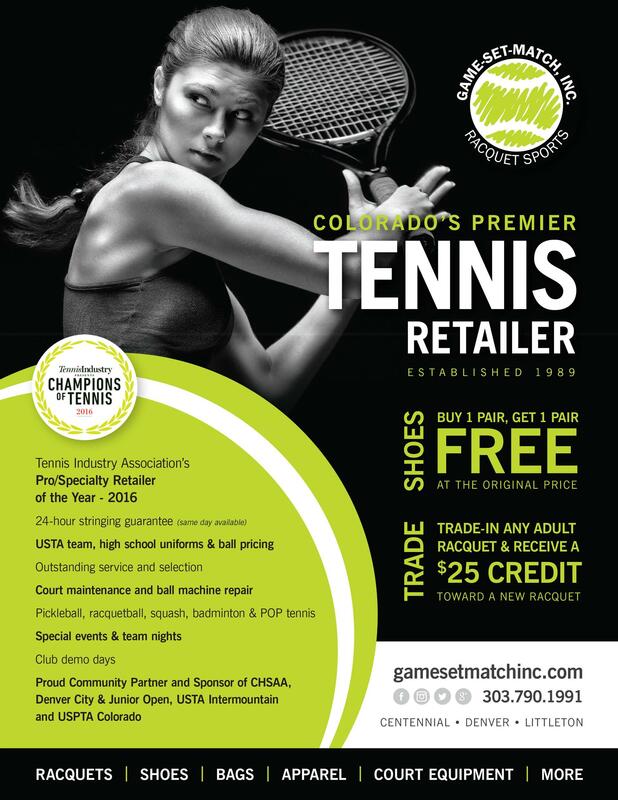 Get on the court with Game-Set-Match, Inc., your racquet sports one-stop specialty shop.